 M.K. 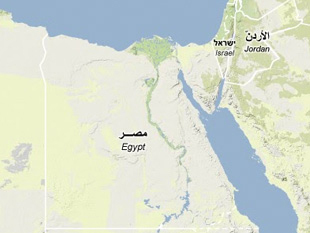 Shaat, "Inshas Nuclear Complex: Report on, National Situation for Decommissioning Activities in Egypt," Atomic Energy Authority, November 2007, www-ns.iaea.org. Nuclear Programmes in the Middle East: In the shadow of Iran, ed. Mark Fitzpatrick, (London: The International Institute for Strategic Studies, 2008), pp. 25-26.